4 These are the appointed festivals of the Lord, the holy convocations, which you shall celebrate at the time appointed for them. 5 In the first month, on the fourteenth day of the month, at twilight, there shall be a passover offering to the Lord, 6 and on the fifteenth day of the same month is the festival of unleavened bread to the Lord; seven days you shall eat unleavened bread. 7 On the first day you shall have a holy convocation; you shall not work at your occupations. 8 For seven days you shall present the Lord’s offerings by fire; on the seventh day there shall be a holy convocation: you shall not work at your occupations. 22:1 Now the festival of Unleavened Bread, which is called the Passover, was near. 2 The chief priests and the scribes were looking for a way to put Jesus to death, for they were afraid of the people. 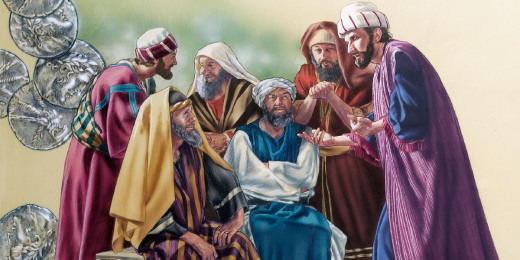 Then Satan entered into Judas called Iscariot, who was one of the twelve; he went away and conferred with the chief priests and officers of the temple police about how he might betray him to them.